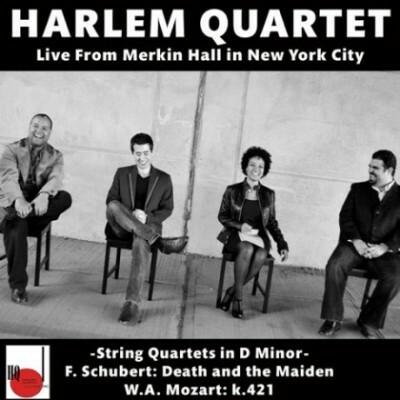 This a live performance of Harlem Quartet which includes the Mozart D minor String Quartet K.421 and Franz Schubert’s String Quartet No. 14, “Death and The Maiden.” Both work are staples of the chamber repertoire, and it was up to the quartet to find something new to say in this old warhorse of a work.. Immediately following its conclusion, the audience rose to their feet for a warm ovation. Quality chamber music is easy to find, but truly exceptional performances are rare. This was one of them!